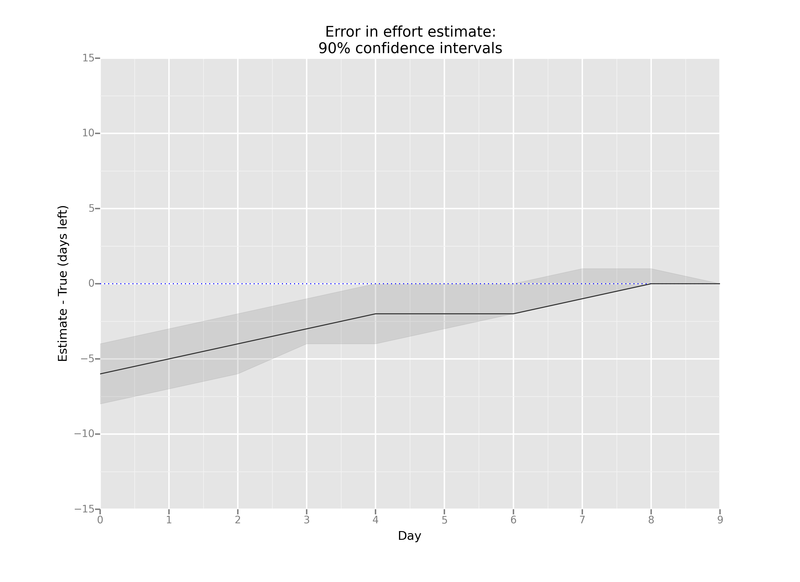 Here is another data point from my attempt to estimate 90% confidence intervals. This plot shows my daily estimates for completing a feature I was working on. For this feature, I significantly underestimated the effort required to complete it. 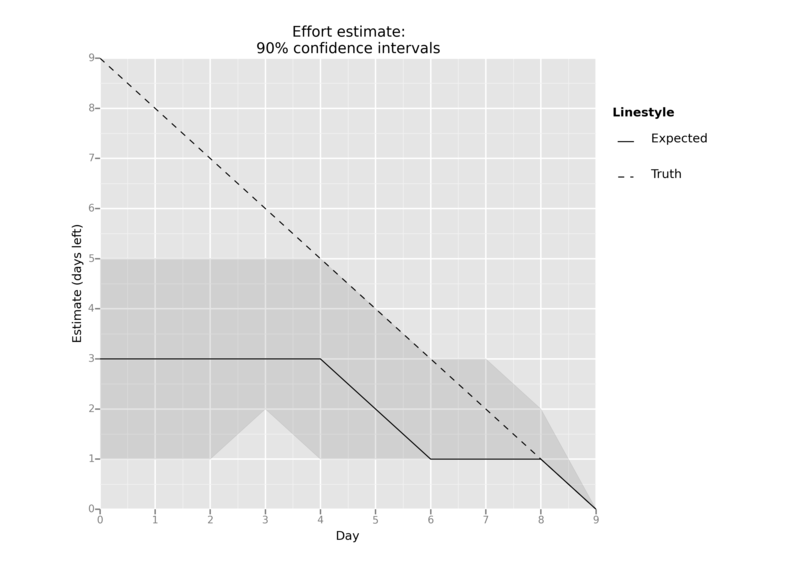 For the first four days, my estimates were so off that my 90% confidence interval didn’t include the true completion time: it was only correct 60% of the time. Apparently, I’m not yet a well-calibrated estimator. Hopefully, that will improve with further estimates. I gave a talk last week at Camp DevOps about Ansible and EC2. The talk is written in present format, which is a very lightly marked up text format, similar to Markdown. You can see the source file in a Github repo. It was liberating to focus entirely on content and not worry too much about the exact appearance of the slide. I also went for a minimalistic approach where I often didn’t even use titles. The slides won’t make much sense if you just look at them without me talking. Hopefully, they made some sense when I was talking in front of them. I also put it up on Github.